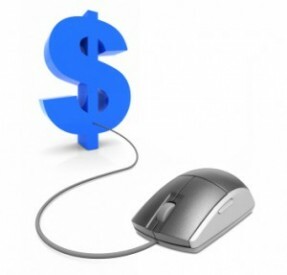 Most businesses and websites that invest in Pay-per-Click (PPC) campaigns know the basics of running one. They’d also know that the most important element of any PPC campaign is keyword research: spending time on finding out what phrases will be the most useful for your website when set against the cost of the most commonly used phrases in your business sector. Keyword research and keyword selection make up the single most important job for any website, and finding the balance between the most commonly used phrases and value for money when competing with your rivals can often make or break the performance – and value – of your campaign. Once you have mastered the basics of keyword research, it is possible to dig deeper into the more sophisticated arts of Pay-per-Click and hone your PPC strategies and skills even more. One way of doing this is through Pay-per-Click tracking. PPC tracking allows you to evaluate the Pay-per-Click campaigns you have begun and to see how effectively they are working for your business. A good PPC tracking service lets you judge how useful each category of clicks are, so that you can adjust the whole PPC campaign accordingly. With PPC tracking you can also watch which exact keywords and key phrases bring the most visitors to your website. In addition, you can judge which search engine or source is bringing in the best results and you can find out which advertising copy has proven to be the most effective. Lastly, and most importantly, you can work out the optimum price per click and your cost acquisition per customer to see what kind of return on investment you are getting. You do this through determination of the conversion rates and through accountability of your own campaign. Accountability of a PPC campaign is essential in order to make sure you are getting what you pay for and to ensure the quality of traffic. Low quality traffic is not any better than having no traffic at all. Why? Not only will it fill up your server unnecessarily and spike your traffic; it will also be attract people who aren’t in the first place interested in – or cannot afford – what you have to offer. (A waste of money and time.) The way to avoid this is by having a decent tracking system in place that can tell you where the traffic is coming from and whether it is from a country that is not your target market. Indeed, there is no point in having people in the US reading about a product sold only in the UK. A tracking system will also tell you if visitors come to your site and then leave again without clicking on further in or without converting into a sale. It can tell you how many pages people browse and the pages that are the most popular. A good tracking or metrics package is essential because it will follow your customer around the site, telling you everything about how they got there, what their habits are, whether they use certain features, and what their buying pattern is. Pay-per-Click tracking systems range from competent free services to massive in-depth metrics analysis tools that are covered by a monthly subscription. A few trackers to recommend include Google Analytics, AdWords Back End, Opentracker, Wordtracker, Hypertracker and Trada. There are also a bunch of great tools in Lakeshore Branding’s ultimate list of competitive intelligence tools. About the author: Alex Simmonds is a freelance copywriter and journalist. He currently writes a blog for the Bedouin Group on finance and the contracting sector, covering everything from taxation to how to set up an umbrella company.